When searching for a new home, you have to be able to spot the things other people may not pay as much attention to. For example, you are about to see a house that you have fallen in love with online. Everything looks perfect, but here are a few things to keep an eye out for that could be red flags for purchasing the home. If you are hit by a wave of five different candle scents before you are through the front door, there may be an underlying odor that the homeowners are trying to conceal. This could be anything from sewage to mold to pets. If you can clearly see spaces or the lines are not entirely straight, this may be a red flag of a DIY project gone wrong. If you don’t mind filling in the gaps or the slight unevenness does not bother you than this may not be a dealbreaker. However, if you do want professional quality, this may be a pass. Okay, this may be a little bit of an exaggeration, but major cracks can result in major issues. 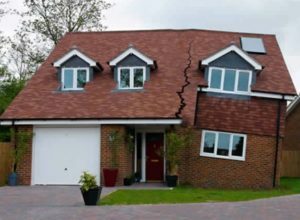 While a hairline crack here and there can be resolved, large cracks can indicate more serious issues like foundation problems. The best place to look for traces of mold are around the pipes of the kitchen and bathroom sinks. Don’t be shy to cracks the cabinets open and take a peek. Just a few dark spots can be a signal that there is a larger issue of water damage or poor ventilation.